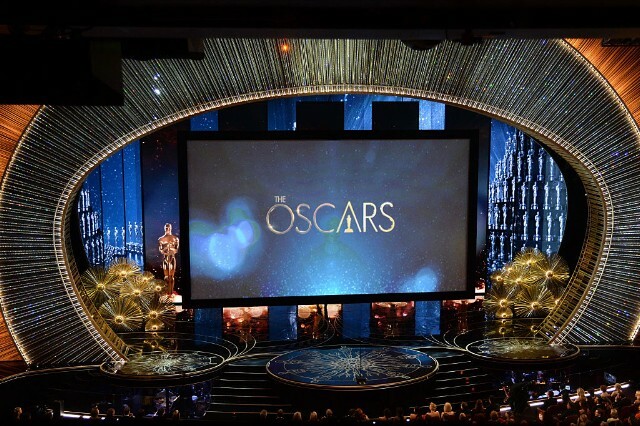 The 90th Academy Awards ceremony , presented by the Academy of Motion Picture Arts and Sciences (AMPAS), held at the Dolby Theatre in Hollywood, Los Angeles, California honored the best films of 2017 on March 4,Sunday. 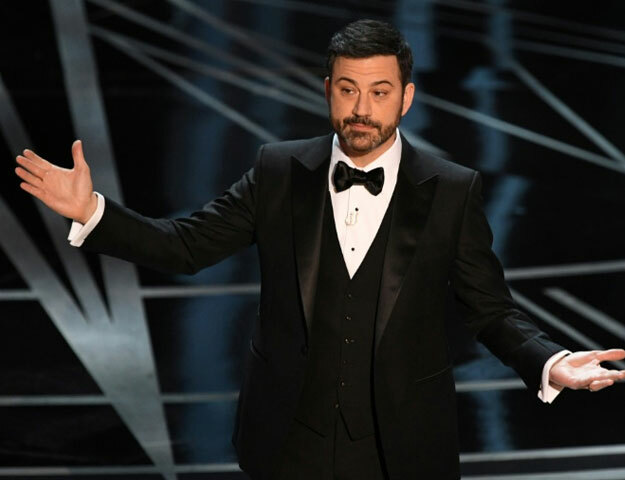 AMPAS presented the Academy Awards in 24 different categories.The ceremony was televised in the United States by American Broadcasting Company (ABC), produced by Michael De Luca and Jennifer Todd and directed by Glenn Weiss.It was hosted by Jimmy Kimmel. 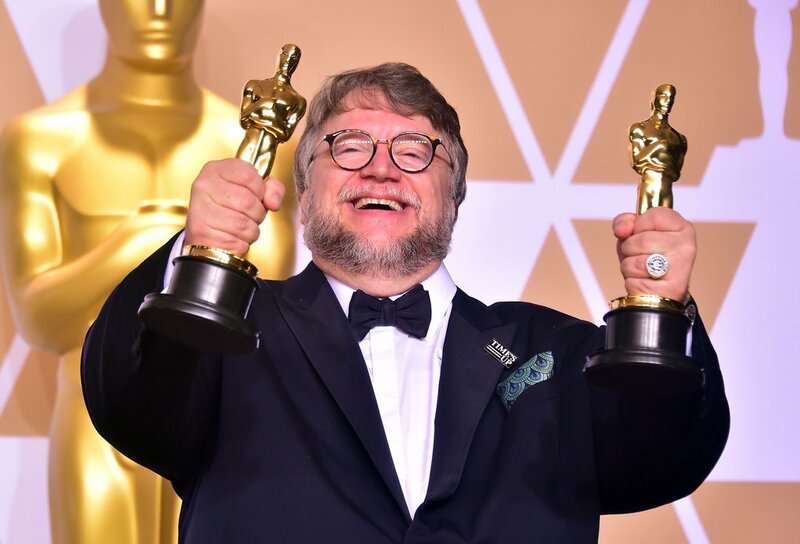 The Shape of Water won a leading four awards including the Best Picture and Best Director for Guillermo del Toro.The other awards for the film were Best original score for Alexandre Desplat and Best production design by Paul Denham Austerberryand and set decoration by Shane Vieau and Jeff Melvin. 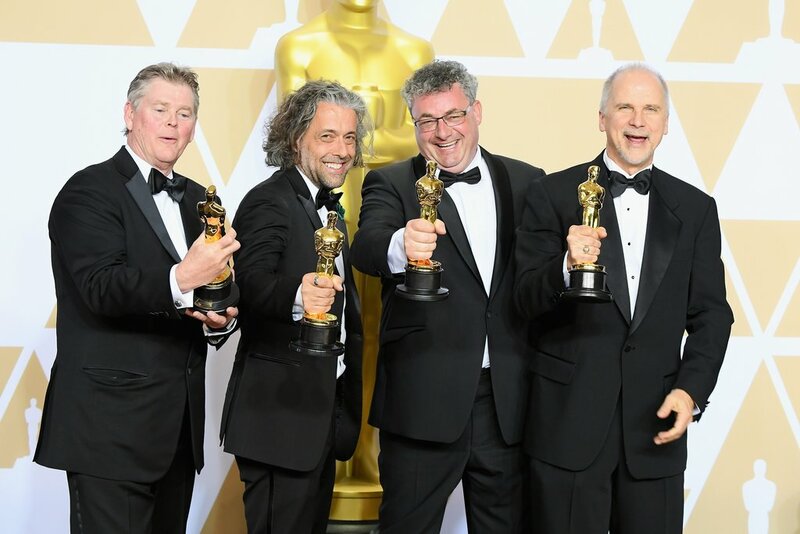 The movie Dunkirk won Three Awards.Best film editing for Lee Smith,Best sound editing for Richard King and Alex Gibson and Best sound mixing for Mark Weingarten, Gregg Landaker and Gary A Rizzo. 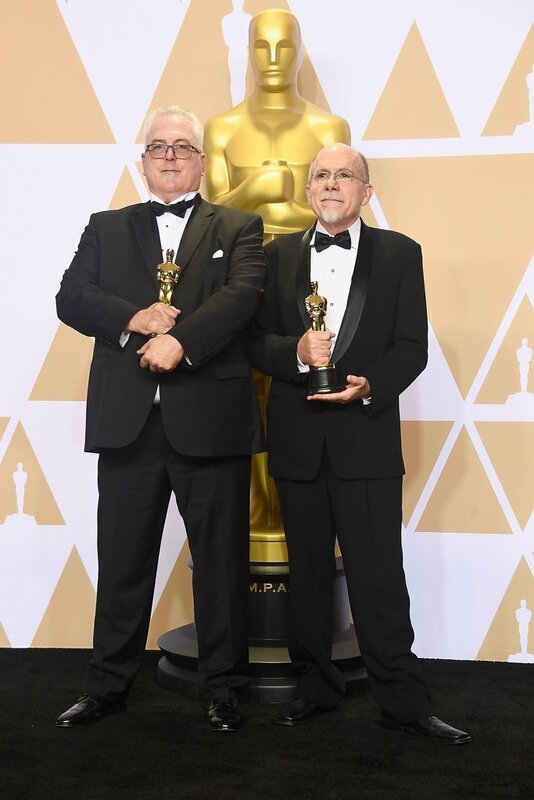 Image : Sound editors Alex Gibson and Richard King, winners of the Best Sound Editing award for ‘Dunkirk’. 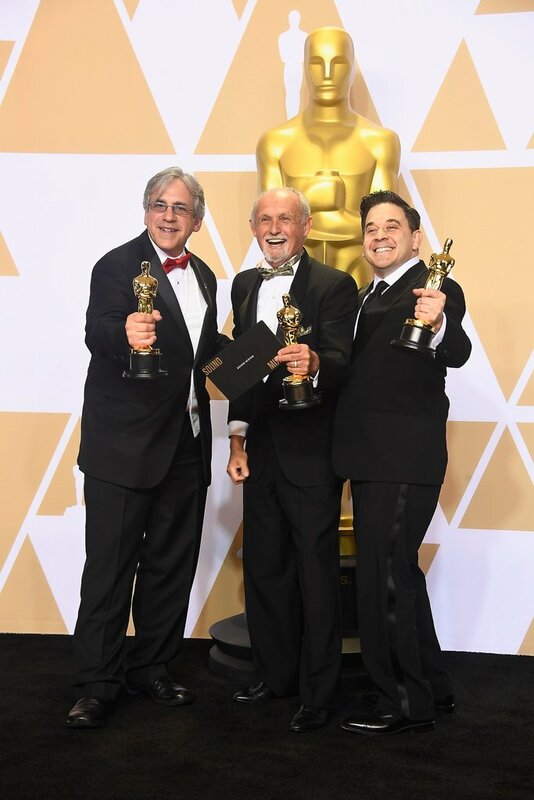 Image: Sound engineers Mark Weingarten, Gregg Landaker, and Gary A. Rizzo, winners of the Best Sound Mixing award for ‘Dunkirk’. 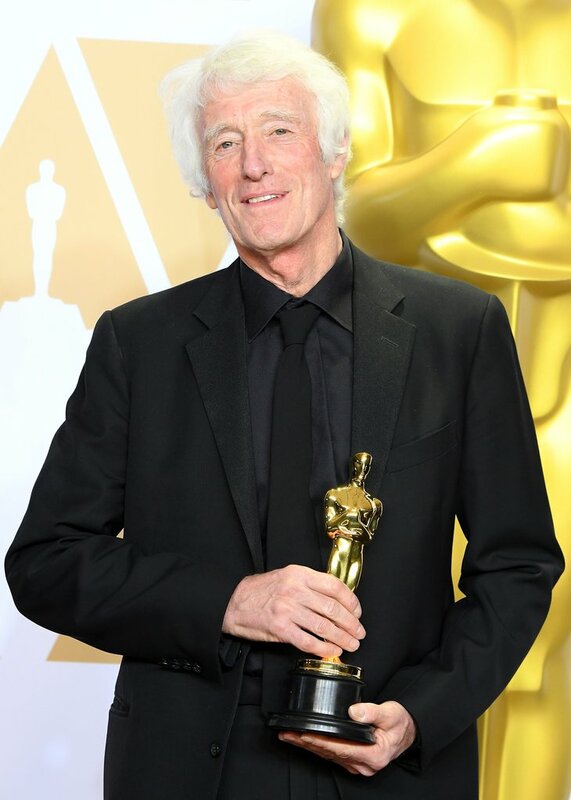 The film Blade Runner 2049 was awarded for Best visual effects for John Nelson, Gerd Nefzer, Paul Lambert & Richard R Hoover and Best cinematography for Roger Deakins. 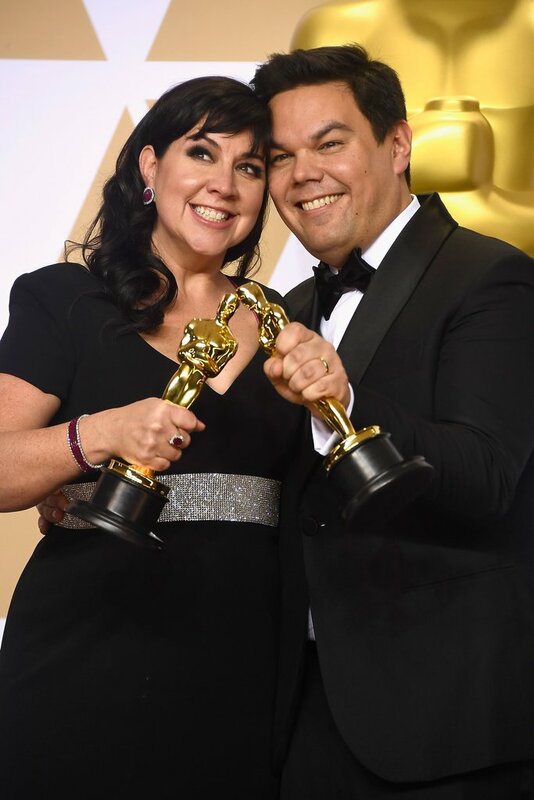 Best animated feature and Best original song(Remember Me :Kristen Anderson-Lopez and Robert Lopez ) Awards were received by the film Coco. 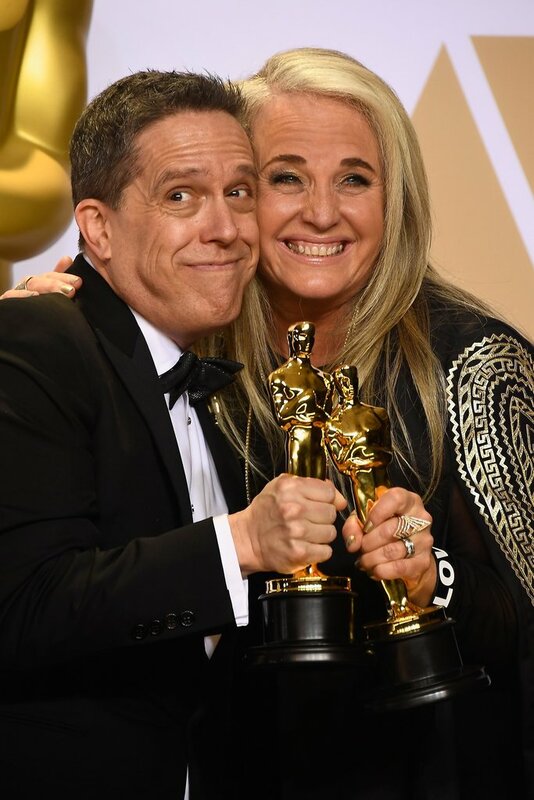 Image : Filmmakers Lee Unkrich and Darla K. Anderson, winners of the Best Animated Feature Film for ‘Coco’. 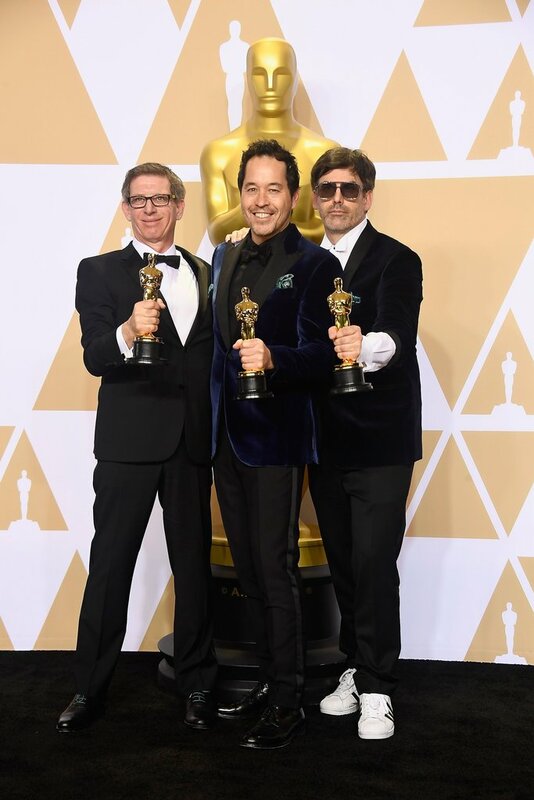 Darkest Hour bagged the awards for Best actor (Gary Oldman) and Best make-up and hairstyling(Kazuhiro Tsuji, David Malinowski & Lucy Sibbick). 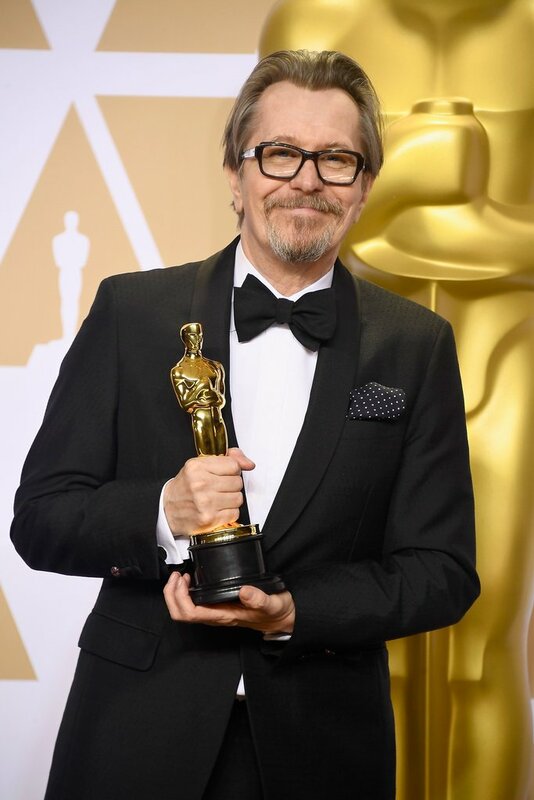 Image : Best actor Gary Oldman with his Academy Award for Best Actor ,Darkest Hour. 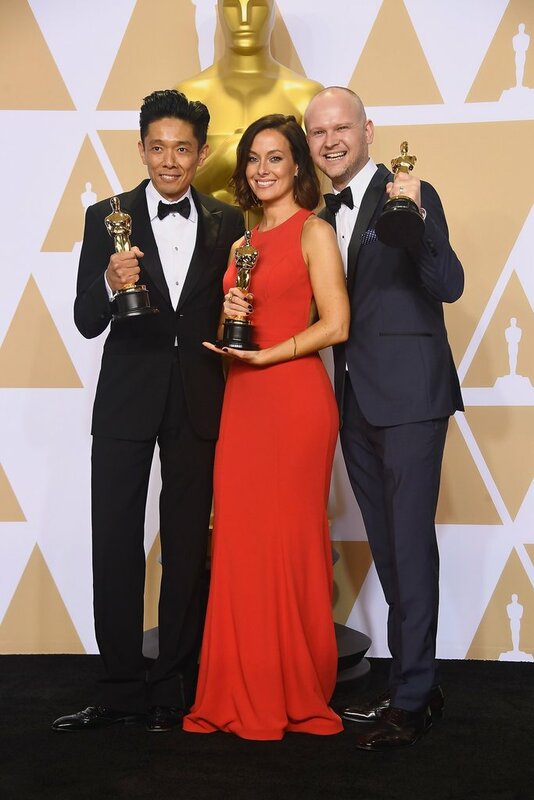 Image : Make-up artists Kazuhiro Tsuji, Lucy Sibbick, and David Malinowski, winners of the Best Makeup and Hairstyling award for ‘Darkest Hour’. Three Billboards Outside Ebbing, Missouri got the awards for Best actress ( Frances McDormand) and Best supporting actor (Sam Rockwell). 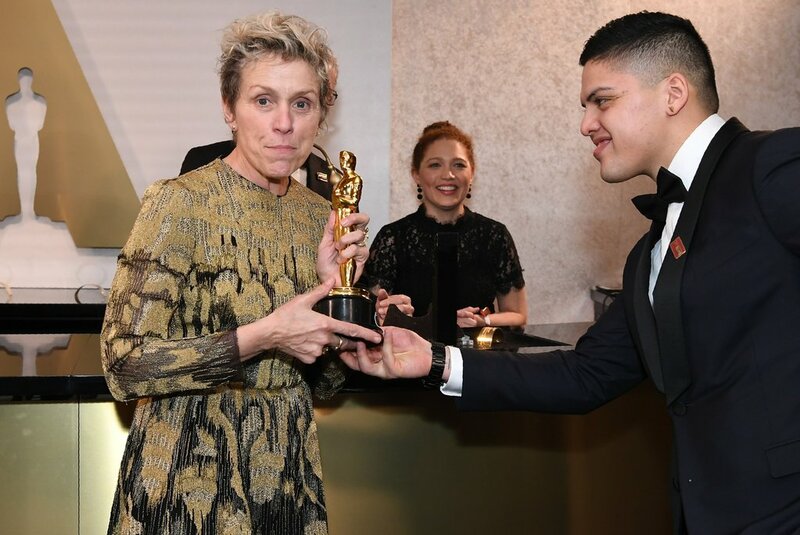 Image : Frances McDormand won the Best Actress Award. 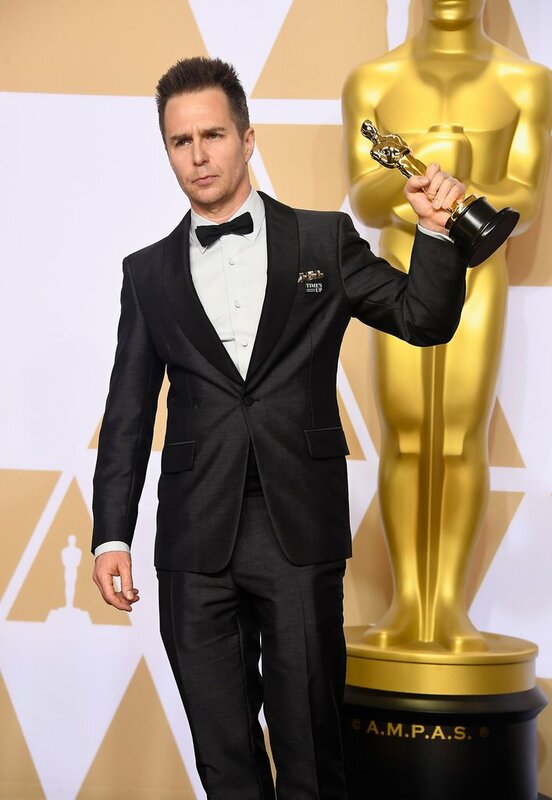 Image : Actor Sam Rockwell, winner of the Best Supporting Actor award for ‘Three Billboards Outside Ebbing, Missouri’. Allison Janney won Best supporting actress for I, Tonya. 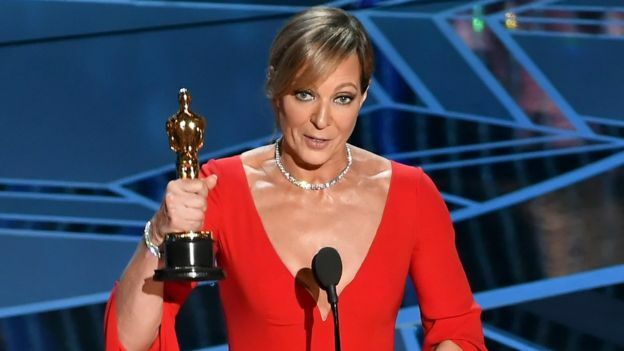 Image : Allison Janney with her Academy Award For Best Supporting Actress. 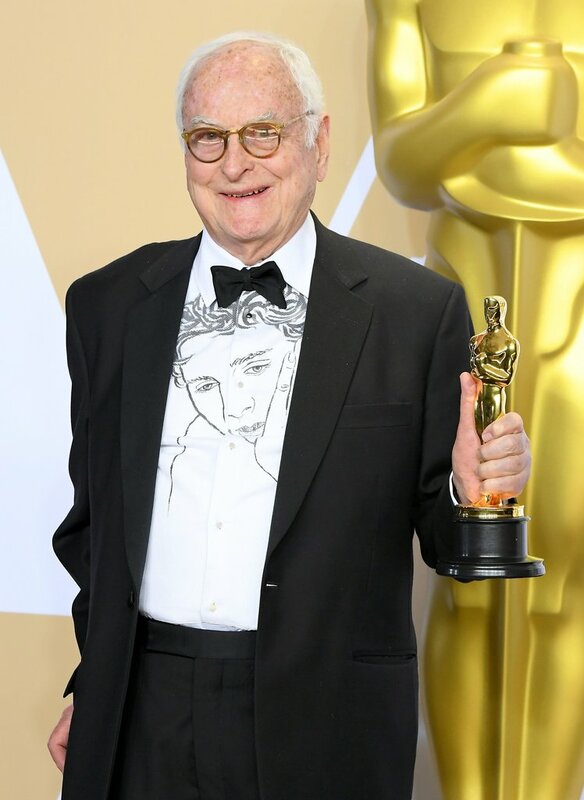 Best adapted screenplay was awarded for James Ivory for the movie Call Me By Your Name. 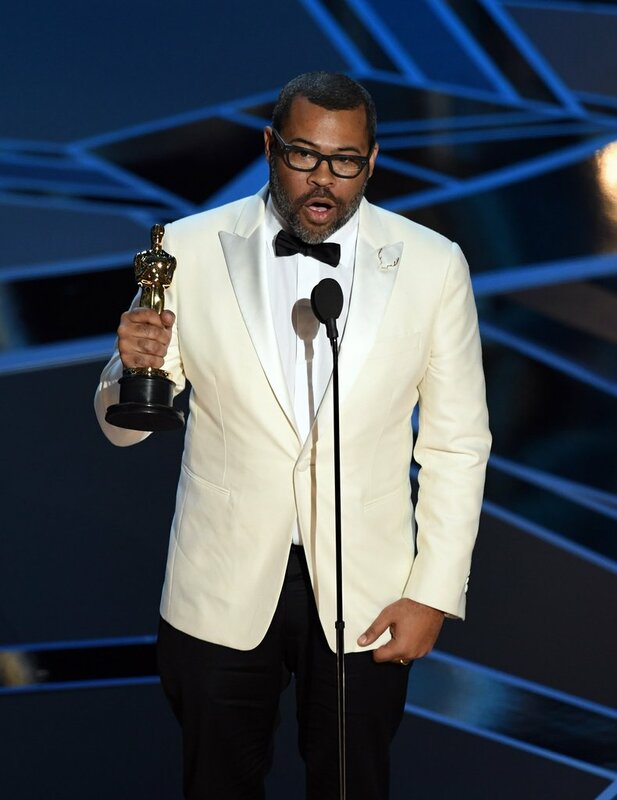 Get Out ,written by Jordan Peele won Best original screenplay . 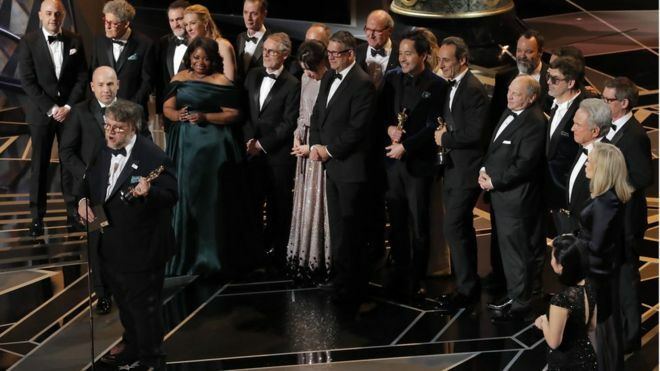 A Fantastic Woman (Chile) won the award for Best foreign language film. 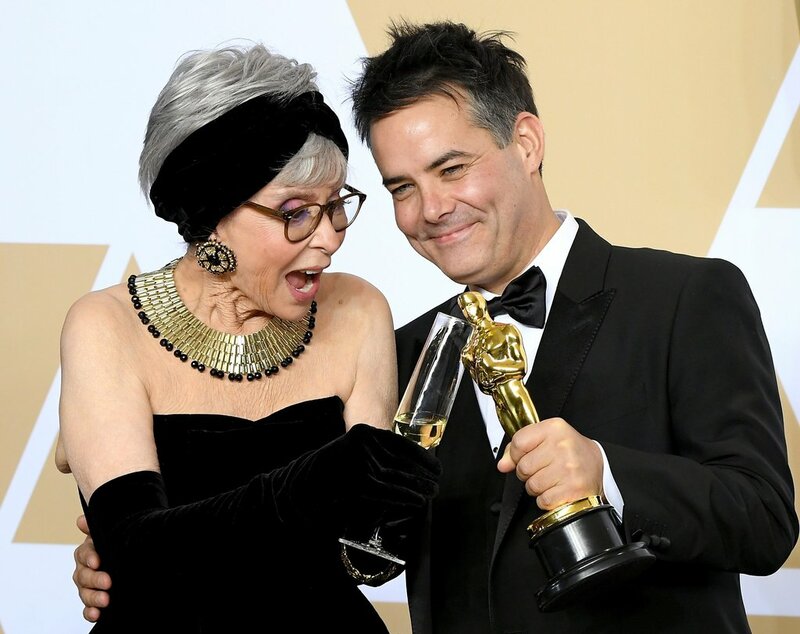 Image : Actor Rita Moreno and director Sebastián Lelio, winner of the Foreign Language Film award for “A Fantastic Woman”. Best documentary feature award was won by Icarus. 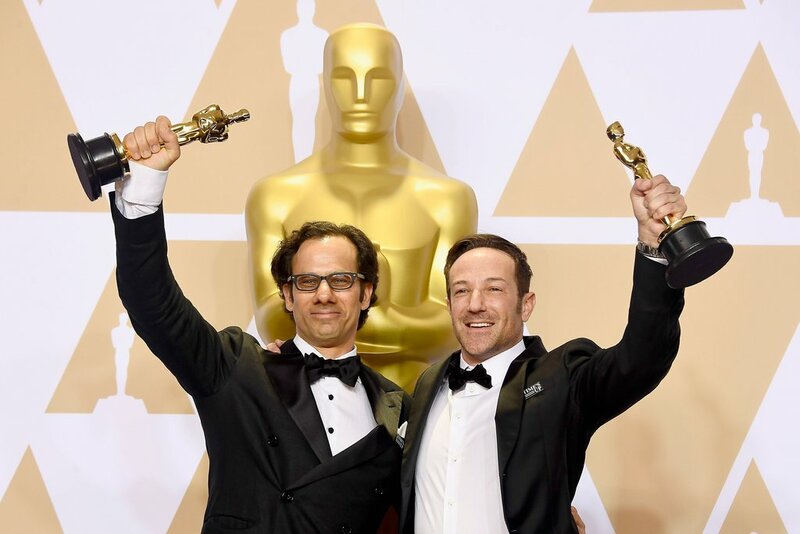 Image : Producer Dan Cogan and director Bryan Fogel, winners of the Best Documentary Feature award for ‘Icarus’. 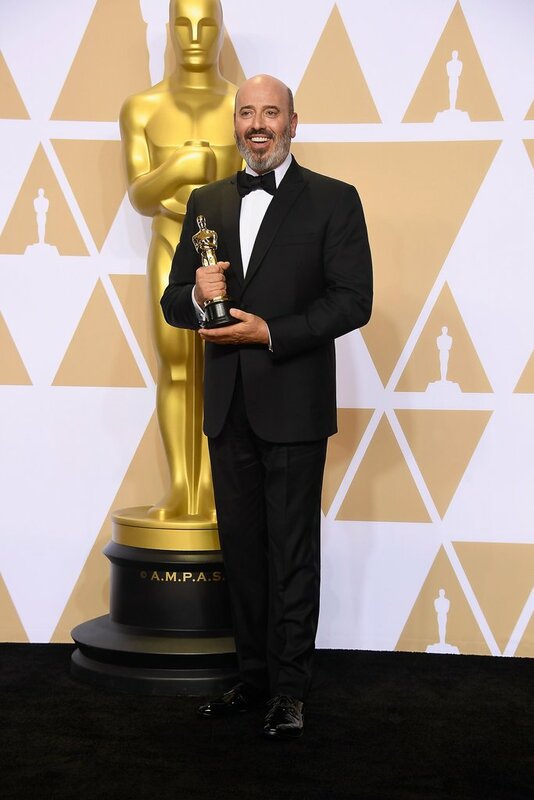 Mark Bridges won the award for Best costume design for Phantom Thread. 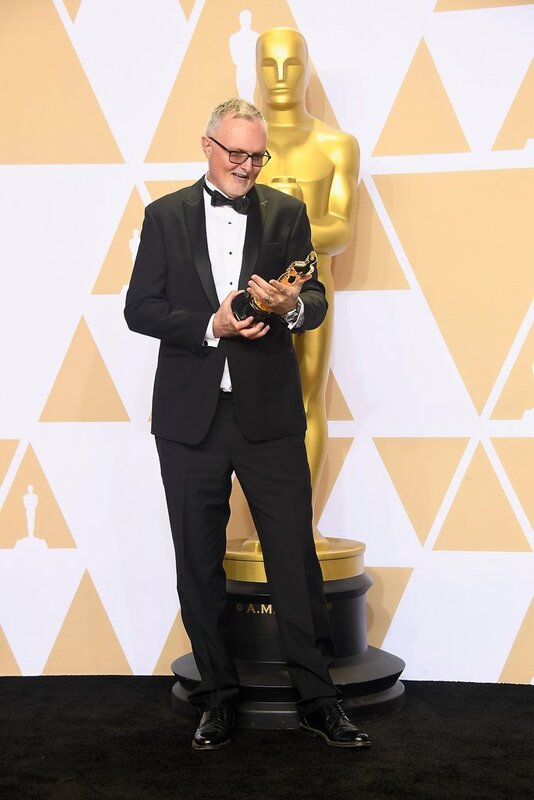 Image : Costume designer Mark Bridges, winner of the Best Costume Design award for ‘Phantom Thread’. Heaven Is a Traffic Jam on the 405 won the Best documentary short film. 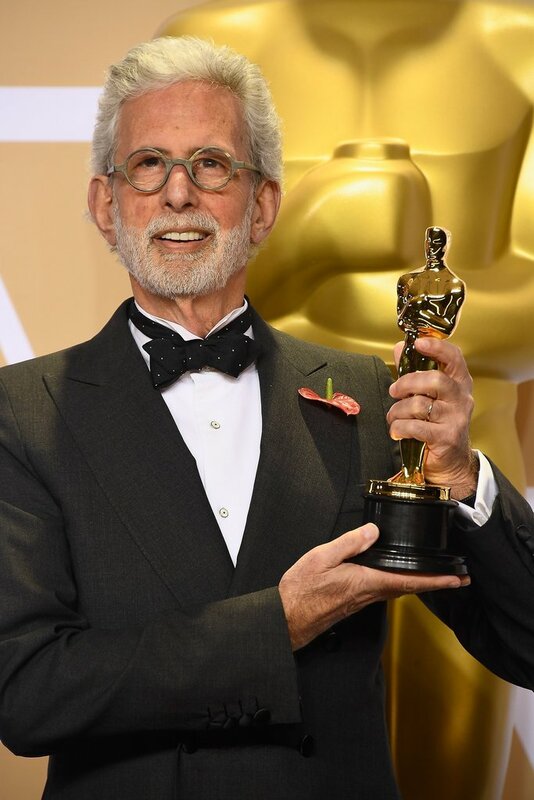 Image : Filmmaker Frank Stiefel, winner of the Best Documentary – Short Subject award for ‘Heaven Is a Traffic Jam on the 405’. 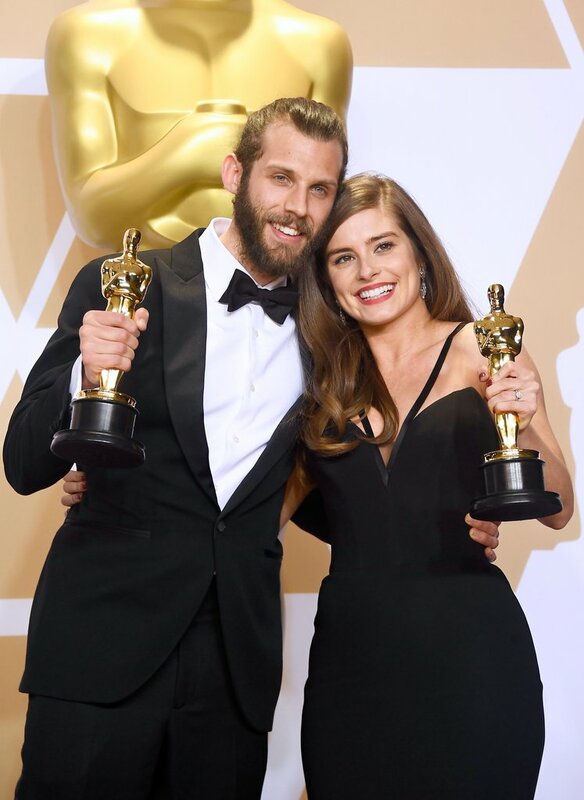 The Silent Child won the award for Best live action short film. Best animated short film award was won by Dear Basketball. 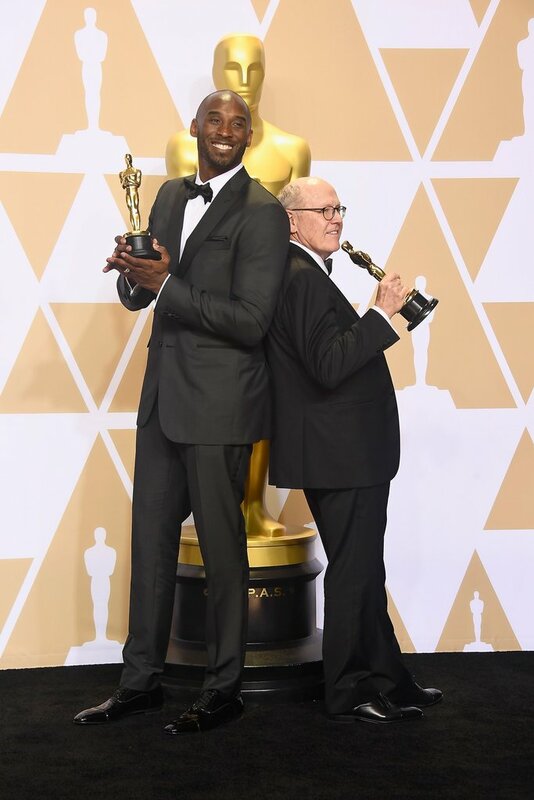 Image : Filmmakers Kobe Bryant and Glen Keane, winners of the Best Animated Short Film award for ‘Dear Basketball’.